ATHENS (Reuters) - Greece will tell its creditors it cannot comply with labour reforms demanded by the International Monetary Fund as a condition of its support for the country's third bailout, its labour minister told Reuters in an interview on Wednesday. The leftist government considers the IMF's demand as a ban on the right of workers to negotiate wages and conditions on a collective basis. A breakdown with the IMF on the issue could jeopardise its financing of the 86 billion euro ($96 billion) bailout and could undermine overall confidence in the deal. 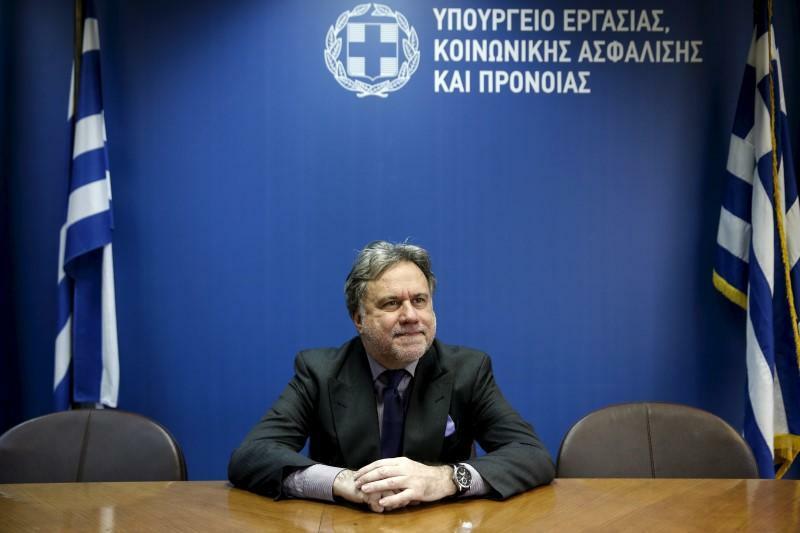 Labour Minister George Katrougalos, speaking a few hours before meeting with the heads of an EU-IMF mission on labour issues, said Athens would fight to revive collective bargaining and described the IMF as "an extreme player". "We want to reinstate collective bargaining because it's the core of the European social model," Katrougalos said. Under previous bailouts, collective bargaining has been weakened. Both the IMF and the EU say an inflexible labour force has helped to make Greece uncompetitive, contributing to its economic malaise. Other issues that Greece's creditors have put on the negotiating table include relaxing laws on mass dismissals and allowing employers to shut down their businesses and lock out workers in the event of industrial action, he said. "These are measures which employers have already rejected in Greece," Katrougalos said. "We've reached a point where we can no longer tolerate the deterioration of Greek workers' status." He said there was room for improvement in labour laws but "there was no need for radical changes". "I don't want to discuss extra issues, like the IMF does. If we need to take measures in the future, we will discuss them with our European partners," he said. Labour reforms are a sensitive issue for Prime Minister Alexis Tsipras, running a country with a 23.4 percent jobless rate, high levels of informal work and cash-strapped pension funds. A report on labour reforms by a committee picked by Athens and its lenders, expected by the end of September, will be key in the upcoming talks, Katrougalos said. "Our positions and the IMF positions are so chaotically different that a negotiation without a text by experts would be impossible," said the constitutional lawyer-turned-minister. He said that he would seek assurances from the lenders that the committee's conclusions would be respected and that he would present a July statement by employers backing the government's stance - a move which the EU has endorsed in other countries. "I insist that the IMF is an extreme player in this negotiation because its position does not reflect the European acquis," he said, referring to the legislation and court decisions that constitute the body of European Union law. "Those who want to save Europe can no longer implement such practices." The IMF's mission chiefs arrived in Athens this week to assess progress on reforms under its first bailout review before releasing 2.8 billion euros in aid. "It will be a tough negotiation but I am optimistic," he said. "Who in the EU would want another crisis now, since we have entered a phase of economic recovery?"